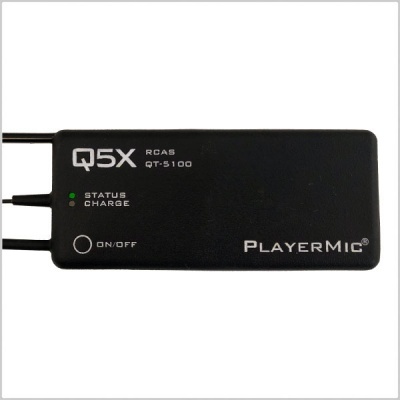 The QT-5100 PlayerMic has a sporty rubberized, flexible case as required for professional sports. 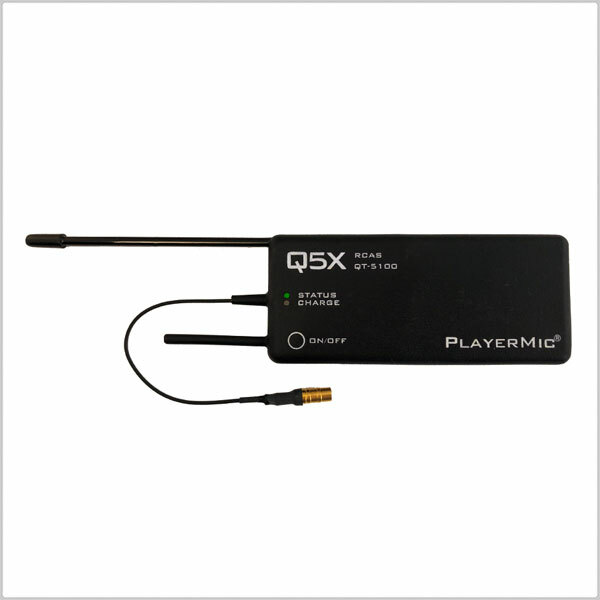 This transmitter is the long life version (7hr run at 100mw) of the QT-5100 PlayerMic S, which is the version used exclusively by the NBA. Weighing less than 2 ounces and only a 1/3rd of an inch thick, the QT-5100 joins the QT family as the most comfortable audio transmitters in the industry.